Monsanto recently increased its focus on added value to smaller production units and smaller farmers in the market so that we can provide them with technology and affordable hybrids with a high yield potential. New Era Farmer (>75 ha/250 ton grain, mechanised). Small-scale farmer (10 ha - 75 ha, partly commercial, little to no mechanisation). Subsistence farmer (1 ha - 10 ha, full production manual labour, own use). In the Small commercial category, development trials were planted in the Carolina district on the farm of Mr Solomon Masongo. New white and yellow hybrids in the commercial pipeline are being tested here. This includes six white hybrids that fit into the NEW ERA FARMER category. 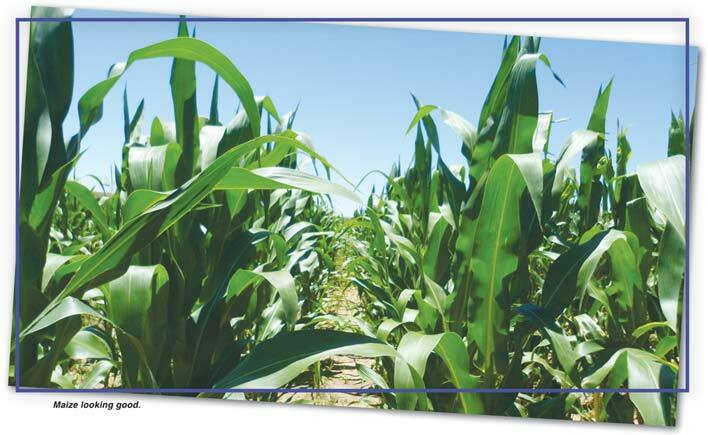 This will provide feedback from the community to determine production and hybrid trait needs. In the Small-scale farmer category, we planted the six hybrids on Mr Frans Malela’s farm in the Groblersdal area. Here various crops are cultivated on 4 ha plots with some form of mechanisation. In the Subsistence farmer category the six white hybrids were also planted at the Matibidi Community project in the Blyde River area where the Department of Agriculture together with Ms Thembi Mphela is involved. Here only soil cultivation is mechanised. Planting and harvesting are done manually. One of the challenges is the perception of a high yield, due to the appearance of some older hybrids, while there are new genetics available that perform much better and have stronger resistance against environmental factors. Therefore Monsanto is interactively involved in the NEW ERA Farmer and looking for ways to offer the latest technology and the best hybrids to farmers to feed the future population. Monsanto’s strategy is based on research related to the United Nations regarding World Agriculture 2030.